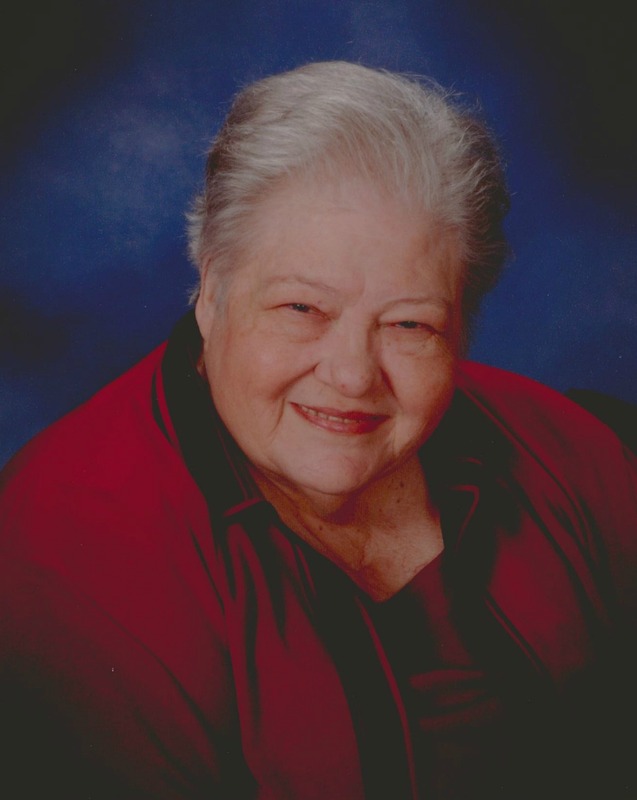 Revenell M Jammes, Nell, 87, passed away peacefully January 15, 2018 in Mesa, Arizona. A beautiful Christian woman, she is survived by her loving husband Frank, daughters Marsha (Marti) Bookstein and Jayne, grandson Bryan Campbell (Heather) and their two sons Kai and Jake. She was a great example of love in action, and considered her two great grandsons her greatest gifts. Moving to Holmes County, FL from Alabama shortly after her birth, Nell excelled in school. An only child, she loved her Mama and her many cousins. Nell chose to continue her education with secretarial school, and became a trail-blazing working mother in the 1950’s and 60’s. While the family lived and worshipped in Cocoa Beach, FL, Nell did classified secretarial work in both engineering and Human Resources, and thus began her deep love, interest and support of all U.S. space exploration programs. Later she owned Copper State Supply Co in Mesa, and was proud of the accomplishments of this woman-owned business. Visitation will be held Friday Jan 19 at A Wise Choice Desert View Chapel, 9702 East Apache Trail, Mesa 85207 from 5PM – 8PM. Funeral services will be Saturday Jan 20 at First Southern Baptist Church of Mesa/Heart of Mesa, 851 North Stapley Drive, Mesa, 85203 at 2:00 PM. Peel Funeral Home, 301 E. Evans Ave, Bonifay, FL will assist the family on Wednesday, January 24. Visitation will be at the Funeral Home at 9:00 AM, with Services at 10:00 AM, followed by a committal service at East Pittman Baptist Church Cemetery. Nell, like her beloved Mama, loved flowers. She also loved her church home, and donations may be made in her honor to the Heart of Mesa Church, above. Marti and Family: We are keeping you and your family in our thoughts and prayers. Our condolences. Hugs from NJ! Marti & Jayne: So sad to hear about your Mama’s passing. She truly was a trail blazer. May you enjoy your stories and memories about Nell. My dear, sweet Aunt Nell. We will miss you. Love to Uncle Frank, Jayne, Marsha and all your family and friends. What an amazing woman, that beautiful mom of yours. Space was a big deal to me. I am so lucky to have had her in my life and Marti, my best friend through great trail of memories. GOD LOVE HER. Your mom was a lovely person, and I enjoyed meeting her and becoming acquainted with her. She leaves a great legacy in you two. Marti & Family: my sincere condolences on your mother’s passng. Will keep you and your family in my prayers. Marti Family: So sorry to hear about your mother passing, will keep you and your family in my prayers. My Condolence. Words cannot express the love and appreciation I have for your family. May God give you peace as you acknowledge His promises. Marti and Family: Keeping you and your family in our prayers. My deepest sympathy goes out to you and your family. So sorry to hear about Nell’s passing you are all in my thoughts. You have my deepest condolences. Even though years have passed since those magical days growing up with my childhood BFF Jayne in Cocoa Beach, I’ll always remember Nell and Mama, sitting at the kitchen table. When Jayne and I would come inside from swimming in their pool, Nell and Mama would make us sandwiches and iced tea, and make sure we waited 30 minutes before swimming again. Oh, and they cautioned us, “Don’t call boys!,” which of course we did! These and many more memories are woven into the tapestry of our childhood – irreplaceable and unforgettable memories made possible because of the kindness and loveliness of Nell and Mama. Wishing your family Comfort at this time, knowing Nell is in Jesus’ arms now, and Joy in His Eternal Promise! I thank God for the help and support you provided my family. Janine and Mike .. Alex and Lael. May God bring you peace. Is hard to believe that I’m not going to see her again. The memories i have will never be forgotten.words cannot express the love and gratitude i have for you and your family. May god give you peace and comfort. My friend, my heart goes out to you. Please accept my sincerest sympathy for your loss. Frank, I am so sorry for your loss. Although we never met, I’m sure she was a great woman full of life. May she rest in peace and may God bless you all. Marti – we are so saddened by the loss of your mother. Our thoughts and prayers are with you and your family. God bless her and may she rest in peace among the angels. Nell was one of the sweetest ladies we’ve ever met, and her passing is a great loss to us all, but she will remain in our hearts forever. Our thoughts and prayers are with you all with much love! I am so sorry to hear of Nell’s passing. I will miss Nell’s warm smile and greeting as I entered church. May God comfort you , strengthen you and lift you up at this time. So very sorry and saddened by your loss. Wonderful, kind lady. Blessed to have known her. Thoughts and prayers to the family. So sorry to hear, Marti. You and your family are in our thoughts and prayers. Marti, i am so sorry for your loss, for your Dad, for all you had to go through. My hugs and love for you. Dear sweet Marti and family, we are so very sorry to hear of your mom’s death. What a wonderful lady she was and I know she will be missed. Wish we could be with you to give you a big hug and tell you we love you. We will pray for you all at this difficult time. I am truly sorry, Marti, for your loss. Please know that I share in your grief on the passing of your beloved mom – may she forever rest in peace. Nell will always have a special place in my heart for her welcoming generosity and love for me and my mother. She was truly a caring, compassionate, Christian spirit! She patterned her life by following the example of her mother, “mama” who showed amazing character in the face of difficulty throughout her life. She will be missed!! She was such a beautiful woman! She loved her family so much! She definitely will be missed, but is rejoicing now with our Lord & Savior, Jesus Christ! Til we meet again, sweet Nell! I am so, so sorry for your loss! You are all in my thoughts and prayers during this very difficult time. Our deepest sympathy in the loss of wife and mother, Nell. May your past memories ease your pain and may you find peace knowing she is in the arms of her Heavenly Father. Marti Bookstein and family – I am so sorry to hear of your mother’s passing. Please accept mine, and the sincerest condolences of all your friends and colleagues at North Jersey-Rockland Chapter SHRM.